All Star RV has been awarded the Consumer's Choice Award 10 consecutive years and is Canada's leading RV dealer. We have hundreds of new and used RVs in our inventory at any given time in all our stores. At All Star RV, our Parts and Accessories department is available to you at all our store locations. You'll find that we are well stocked and, if we don't have a specific item available, we'll order it factory direct to get it to you right away. With All Star RV, we can assure you that you are working with the best, award winning sales, service and parts team. At All Star RV, we have exceptional employees and we provide our customer's an innovative, high quality product. 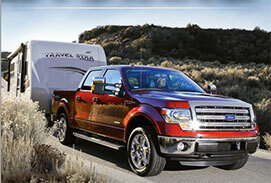 All Star RV provides our customer's the best RV experiences. Our customers are always #1 with us. We work harder than other RV companies to satisfy you. Our total commitment to quality and our company philosophy of putting our customers first has led to our All Star RV being one of the largest RV dealers in Canada. Come and meet with us and see for yourself at any of our various locations. Come and discover our products, our prices and our services.